Drawers are all the rage now in kitchen re-design. That is, instead of having lower cabinets, you just install drawers. I was fortunate enough to get them for our kitchen remodel. Why are drawers so great? Because when you have a drawer, it’s a one-step process to get something. You just open the drawer and you can instantly see what’s inside. With a cabinet, you have to open the door, then bend over and look deep inside and possibly move things out of the way before you get them. 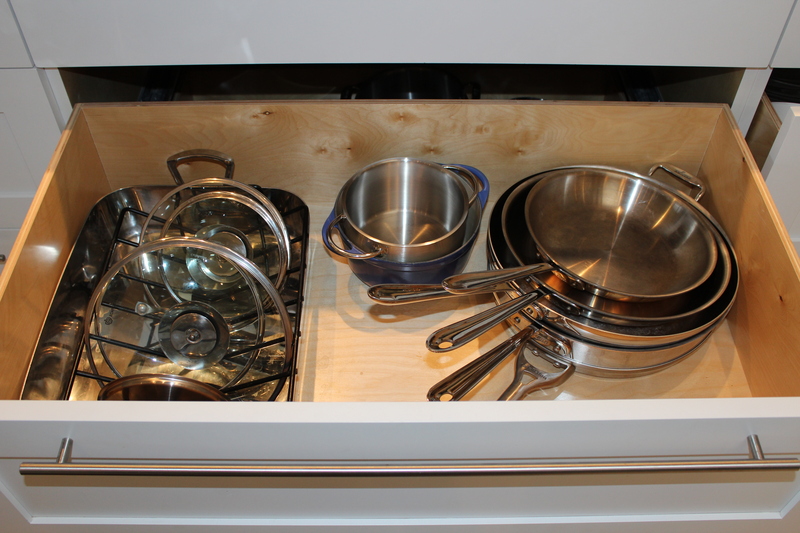 About ten years back new homes started to be built with roll-out rimmed shelves behind the cabinet door, which helped, but drawers save you an extra step. So if you have the option to remodel at some point, go with the drawers! Right now you probably won’t be going through an entire kitchen remodel, so what to do so you don’t have to break your back every time you want to find something in the back of your cabinet? 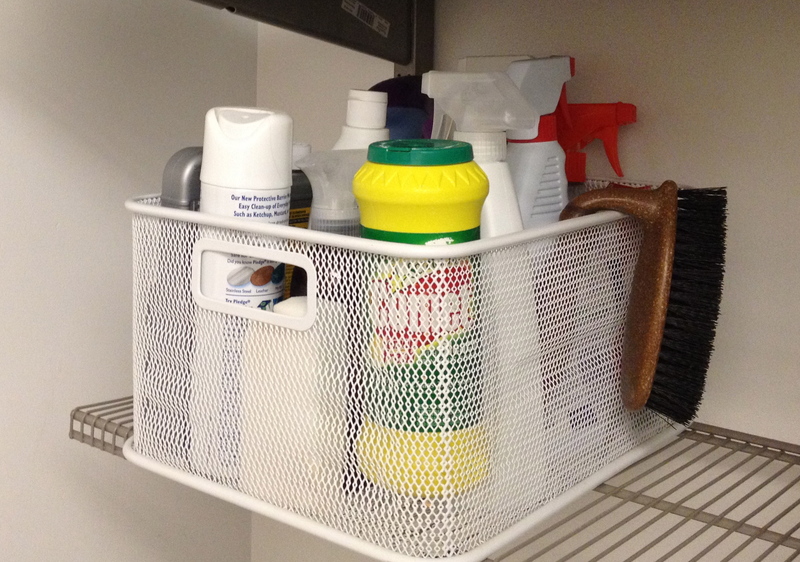 Make your own sliding rimmed shelf out of a basket or plastic bin! 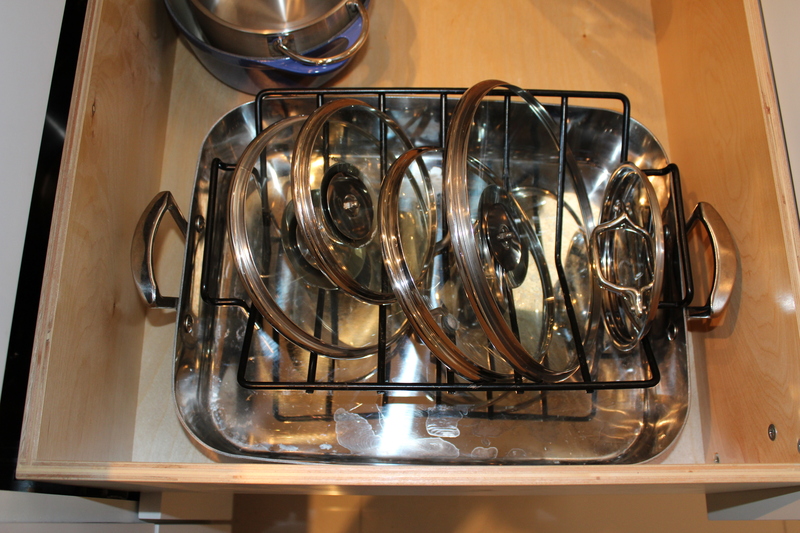 Roasting pan with rack inside! Where do YOU use a basket or bin?